Tour d’Italia at Prego Ristorante! Prego Ristorante celebrates its Italian heritage with a five-course menu paired with exclusively premium Italian wines that are modern in style but deeply rooted in tradition by Masi Vineyards. On Friday, March 4 at 7 p.m., Chef Ugo Allesina presents a menu created to complement fives wines, each with unique personality and style, having earned Masi recognition for having “revolutionized the art of wine-making in the Veneto.” The dinner, priced at $54.95 per guest (excluding tax & gratuity), will be held at Prego in Irvine (18420 Von Karman Avenue). For more information or reservations, call 949.553.1333. 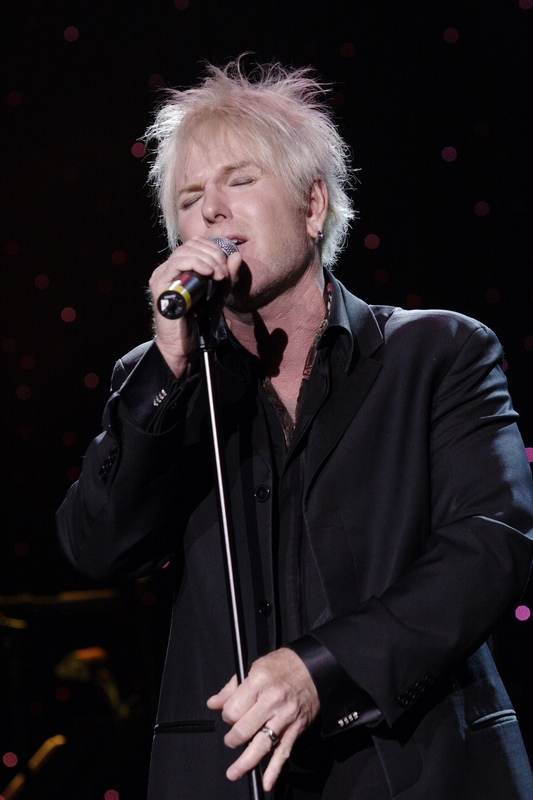 Friday, March 4, 2011 | 7 p.m.
NEWPORT BEACH, Calif. (February 23, 2011) – Starting on Friday, February 25, and continuing every Friday night, the high-energy, multi-talented Jimmy Hopper and his bandmates will perform their “Up Close and Personal” unplugged set at Island Hotel Newport Beach, while guests savor a Three-Course Dinner prepared by Island Hotel’s Executive Chef Bill Bracken. What: Island Hotel’s Palm Terrace Lounge turns into an intimate supper club every Friday night beginning Feb. 25. Dinner seating starts at 6:30 p.m. and the “Up Close and Personal” live performance by Jimmy Hopper and his band starts at 8 p.m. sharp. Executive Chef Bill Bracken presents his own entertainment – a delectable Three-Course Dinner that starts off with a Tower of Seafood and a glass of champagne. Then there’s a choice of Roasted Prime Rib with Herbed Potatoes, Broccolini and Au Jus; Pan-Seared Red Fish with Organic Vegetables in Lobster Meuniere Butter or Roasted Breast of Chicken with Barley Risotto in Madeira Sauce. “To End It All”: enjoy a selection of Pastry Chef Michael Owens’ most popular Small Bite Desserts. Performance and Dinner are $65 per person, exclusive of tax and gratuity. For reservations, please call 949-760-4920. When: Starting Friday, Feb. 25, and continuing every Friday night. Seating starts at 6:30 p.m. and live performance begins at 8 p.m.
Also, every Saturday night, Jimmy Hopper and his band perform their eclectic repertoire from 8:45 p.m. to closing. 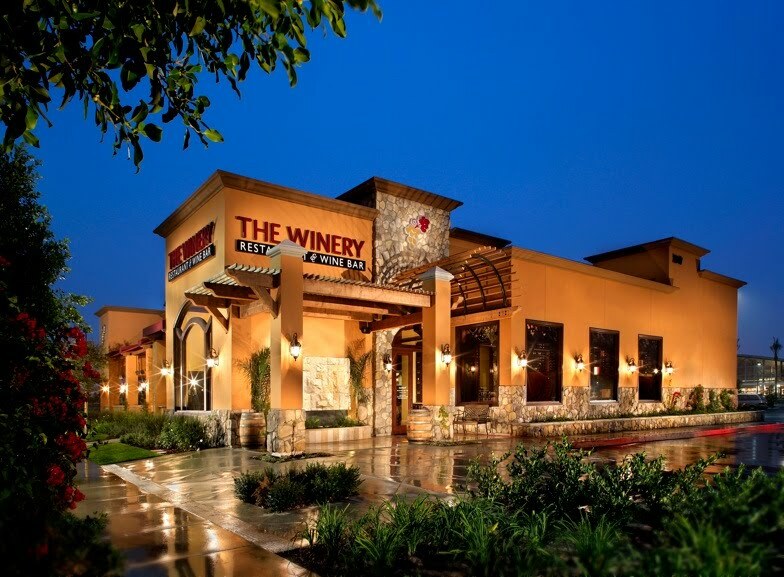 To kick off the 2011 Orange County Restaurant Week, on Saturday, February 26th from 4 p.m. to 7 p.m., The District at Tustin Legacy (2437 Park Avenue, Tustin, CA 92782) will host a launch party. This event will take place throughout The District Promenade (between AMC Tustin 14 and Borders Books & Music), with live music on two stages, appetizer sampling from The District restaurants and complimentary cocktails (guests must be 21 to partake in the cocktail sampling). Participating restaurants at The District will offer OC Restaurant Week menus one day early for launch party attendees to enjoy. There is no cost to attend this event, but guests must RSVP in advance at http://orangecountyrestaurantweek.com/Launch_RSVP.html. For the event, guests are encouraged to enter The District at the Tustin Ranch Road entrance, which is just off Barranca Parkway. For convenience, The District at Tustin Legacy offers valet parking next to Bluewater Grill Seafood Restaurant operated by Ace Parking and presented by The Tustin Auto Center. Valet parking is located near JT Schmid’s in the lifestyle portion of the center and is available for $6, or is complimentary if validated at participating District restaurants. The District at Tustin Legacy is a one million square-foot lifestyle and entertainment center featuring top retail, dining and entertainment tenants. It is located at the northwest corner of Jamboree Road and Barranca Parkway in Tustin, Calif. For more information, visit http://www.thedistricttl.com. 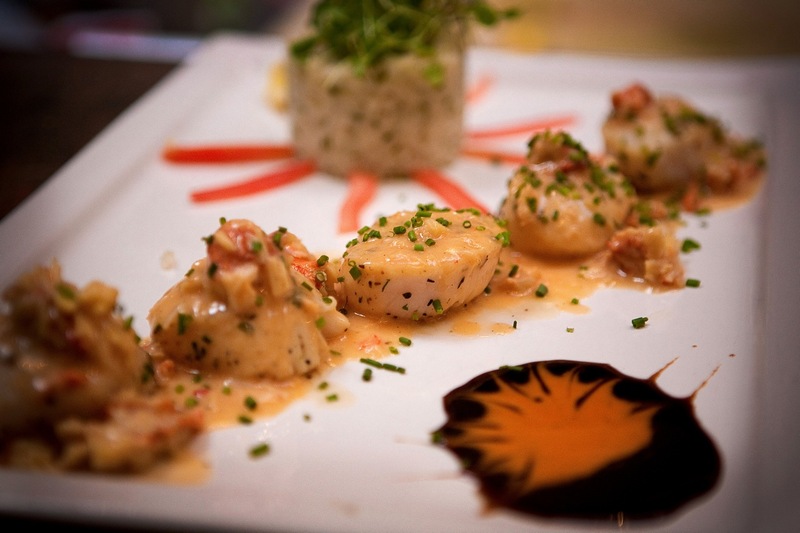 Orange County Restaurant Week is the region’s fastest growing and most anticipated culinary event. 2011 Orange County Restaurant Week will be held February 27 through March 5 with 100 restaurants participating in the annual culinary event. Dining options range from upscale and fine dining, to casual and family friendly establishments. For a complete list of participants, menus, pricing and reservations, visit http://www.orangecountyrestaurantweek.com/Participating_Restaurant.html. In addition, debuting in late-2011 will be OC Wine Week & OC Beer Week, a two-week event during which restaurants throughout Orange County will create fantastic meals to enjoy with wine or beer pairings. Presenting sponsors for the 2011 Orange County Restaurant Week include Orange Coast Magazine, OC Metro, LA Times Community News, M Magazine, SoCal PBS and 92.7 Jill FM. Additional sponsors include Moxxe PR, OCStandard.com, Cox Wireless, AnaheimOC.org, OpenTable, Segerstrom Center for the Arts and OCfoodies. For general information, or to learn about participation or sponsorship opportunities during Orange County Restaurant Week, please visit http://www.OrangeCountyRestaurantWeek.com. 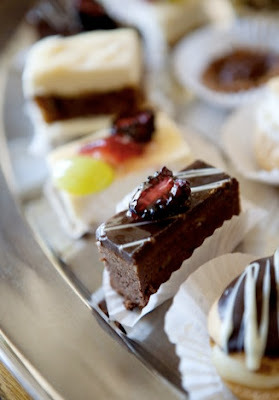 To learn about or join the Orange County Restaurant Association, visit http://www.OCRestaurantAssociation.org. If you're anything like me, you've been wanting to try Hamamori for a while. This sushi bar and Japanese restaurant on the third floor of South Coast Plaza's "Crystal Court" side boast some of the finest Japanese cuisine in Orange County. Hamamori is offering a 3-course price fixed meal for $47 per person. This sounds like the perfect excuse to try them out! 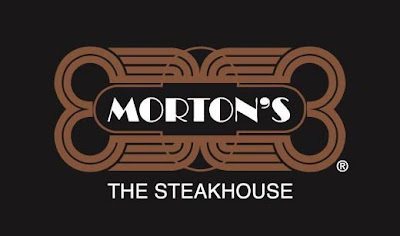 Additionally, Morton’s is offering The Red Velvet cocktail for Valentine’s Day. The cocktail is made with Prosecco, Chambord, and Lindemans Raspberry Lambic and is priced at $14. This cocktail is available February 11 - February 14 (Valentine's Day weekend). 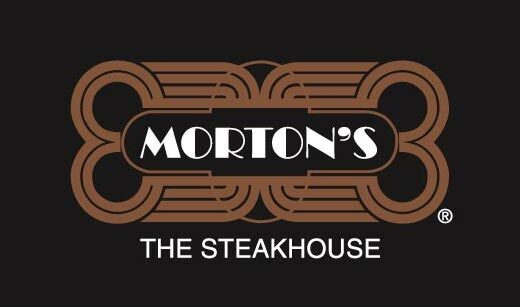 * Morton’s The Steakhouse Santa Ana (South Coast Plaza, 1641 W. Sunflower Ave.; 714-444-4834) . From February 11 - 14, Fleming’s Prime Steakhouse & Wine Bar at Fashion Island will offer a special Tickled Pink cocktail as well as a decadent Valentine's Sharing Menu for Two with choices including filet mignon and crab-stuffed shrimp. In addition, each party that dines at Fleming’s Valentine’s weekend will receive a gift card worth $25. Both the Sharing Menu and regular a la carte menu will be offered all weekend. For reservations or more information, please call (949) 720-9633. Rustica at Fashion Island is also offering a special five-course menu over Valentine’s Day weekend, Friday through Monday, February 11 – 14. The five-course menu offers two selections for each course, including entrees of a Petite Filet with Foie Gras Mashed Potato in a Cabernet Wine Reduction or Beer Braised Kobe Short Ribs with Brown Sugar Yams and Natural Jus for $55 per person. Wine pairings will be offered with each course for an additional $40 per guest. For reservations or more information, please call (949) 706-8282. Rustica is located in Nordstrom Court at Fashion Island. finest skewer-roasted meats, served tableside by Gauchos for $41 per person, as well as a “Special Valentine’s Package para dois”, a special menu with a Valentine’s dessert and two glasses of champagne for $51 per person. Agora Churrascaria is located at 1830 Main Street, at MacArthur Blvd., in Irvine. For reservations or more information, please call (949) 222-9910. On Thursday, February 17, join Britta’s Cafe for a special Celebration of Sparkling Wine at 6 p.m. The special wine dinner is $59 per person and will include an around the world bubbly tour, featuring Vilarnau Brut Nature 2006, from Cava, Spain; Graham Beck Brut Rosé, from South Africa; Jean Laurent Blanc de Noirs Champagne, from France; La Spinetta Moscato d’Asti 2010, from Italy; and Four Courses, and Four Wines. Reservations are required. For more information, please call (949) 509-1211. Perfect for a little romance is a special on J Vineyards & Winery’s J Cuvée 20 Brut ($10 glass/$45 bottle), in addition to SOL Signature Cocktails and margaritas such as SOL’s classic House Margarita or the more exotic Raspberry-Serrano and Cucumber-Jalapeno margaritas. In addition, Executive Chef Deborah Schneider has recently added six exciting new dishes to SOL’s already celebrated brunch menu of Coastal Mexican cuisine. Guests may enjoy a Bottomless Mimosa, an endless glass of fresh orange juice and sparkling wine, for $10 with any food purchase, and the SOL Premium Margarita Bar, where guests can create custom margaritas from fresh & premium ingredients for only $9. Reservations are recommended by calling 949.675.9800. 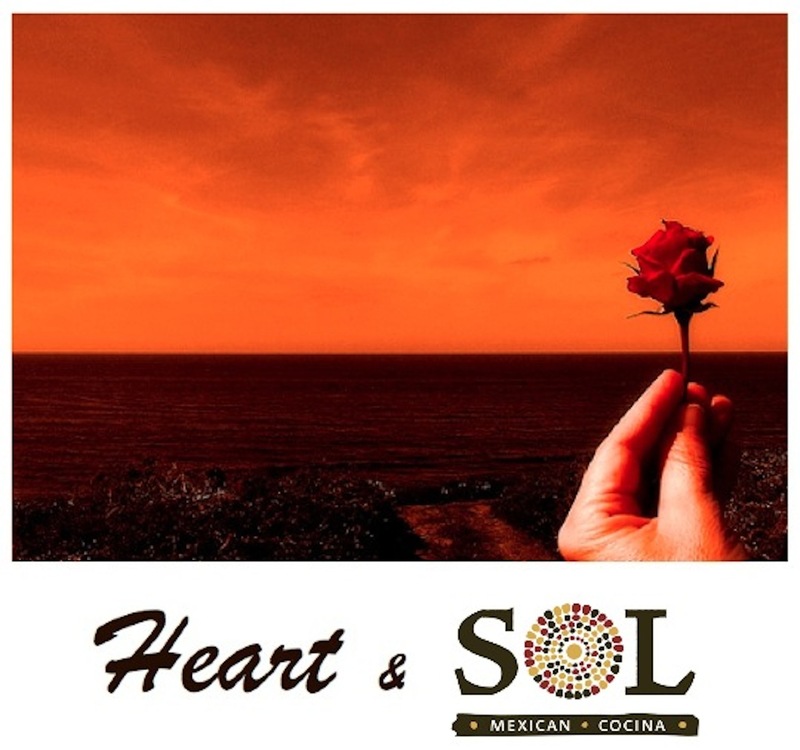 More information, hours, directions and full menus can be found online at http://www.solcocina.com/. At LUCCA there’s only one way to the heart – through the stomach. Husband-and-wife team Elliott and Cathy Pavlos have built LUCCA with lots of heart, which means great attention to its seasonal menu, reminiscent of a Euro bistro, complete with an exquisite wine bar. This year, they showcase their offerings through a truly heartwarming Valentine’s Weekend Dinner Tasting Menu of four plates paired with five wines, as well as a special Valentine’s Day three-course prix-fixe Weekend Brunch. The special Valentine’s Dinner Menu will be offered on Friday, February 11 through Sunday, February 13 alongside LUCCA’s regular dinner menu (each course may be ordered à la carte), and on Valentine’s Day, Monday, February 14, this is the only menu for the evening. The expandable menu is $65 per guest for an American 4-course or $71.50 for a European 5-course or $78 for a European 6-course. Those who would like wine paired with their meal may add five wines, chosen especially for this menu, for $20 per guest or Elliott’s reserve pairings of five finer wines for $35 per guest. All prices exclude tax, gratuity and additional beverages. Vegetarian options are available, as are cheeseboard addition and wine flight upgrades for every course. Reservations are highly recommended and gift certificates will not be accepted for this holiday tasting menu. crostini, gougeres and olive crisps...oh my! Wine Flight upgrades available 15. Artisan Charcuterie and Antipasto Plates available for the table 13. Seasonal Fruit available for the Table 13. The special Valentine’s Day three-course prix-fixe Sunday brunch will be offered on Saturday, February 12 and Sunday, February 13 for $16.95 per person (excluding tax, gratuity and additional beverages). Guests may add additional beverages, cheeseboards and charcuterie plates for the table. Reservations are highly recommended and gift certificates will not be accepted for this holiday prix-fixe menu. Add a glass of Champagne 7. Guests should make reservations by calling 949.725.1773. Known for bringing a taste of Wine Country to the HEARTS of Orange County, The Winery Restaurant & Wine Bar at The District in Tustin will be offering a special Valentine’s “Oh, Baby!” dinner menu Friday, February 11 through Monday, February 14. The “Oh, Baby!” menu will be offered in addition to The Winery’s regular dinner menu for $89 per guest (excluding tax, gratuity and additional beverages). Reservations can be made by calling 714.258.7600. Each course of this special menu, named after The Winery’s Executive Chef & Partner Yvon Goetz’s noted catch phrase, “Oh, Baby!” can be paired with the perfect wine or champagne by Sommelier & Managing Partner William Lewis. For reservations or more information, please call 714.258.7600.